jewish spiritual practice | Institute for Jewish Spirituality. 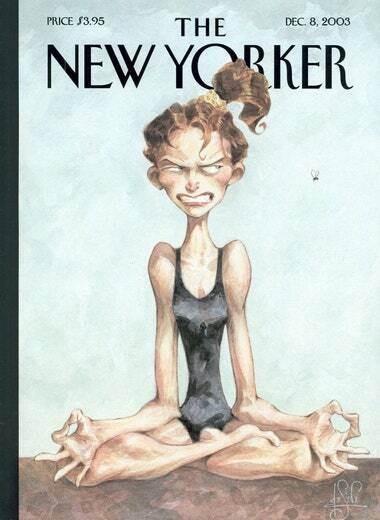 Several years ago, the New Yorker featured a cover that showed a woman sitting in the lotus position, ostensibly meditating. You can tell she is so wound up that she is about to jump out of her skin. If you look carefully in the direction of her baleful glare, there is a little fly, innocently tooling around. One of the reasons I find this image so funny is that I have been there myself so many times. I sit down to meditate or to pray with great zeal and focus – and then, something interrupts my plan. The drive I feel to engage in practice ends up eclipsing the practice itself; my focus shifts to how my plan was derailed and that I couldn’t meditate or pray as I (or my ego) wanted. There is a seeming paradox between zeal and contemplation. Zeal is about acting now with a great sense of passion and confidence. Zeal is impatient, directed, quick. Contemplation, on the other hand, usually evokes “sitting with the issue” for a while. It is slow, receptive, internally oriented. How, then, can zerizut (zeal, alacrity) be a contemplative practice? When it comes to spiritual practice, it is important to draw upon our zeal. Zeal enhances our motivation, helps us overcome our inertia, commit to the effort. Spiritual practice is similar to going to the gym. It’s not enough to know about the benefits; you have to actually go to the gym before any transformation can take place. Zeal helps us make the effort and return to it again and again. And then comes a gift. It’s not “the” gift; it’s “a” gift. We don’t actually know what will happen when we engage in practice. Sometimes we get distracted and annoyed. Sometimes it seems like nothing happens at all. And occasionally something very sweet and still and connecting opens within us. But whatever happens, whatever the experience is, is a gift.